The Modern Workplace: Is Your Company Up to Speed on How to Minimize the Risk of Retaliation Claims? Retaliation claims are increasingly common, because virtually every employment law contains an anti-retaliation provision. Anti-retaliation provisions typically prohibit an employer from taking adverse employment action based on an employee having, in good faith, asserted his or her rights under the law, supported another person in asserting legal rights, or serving as a witness in an internal investigation or legal proceeding. Apart from the anti-retaliation provisions of employment laws, many states – including Minnesota – also have general whistleblower laws. These laws typically prohibit adverse employment action based on someone, in good faith, alleging illegal activity by the employer or refusing to perform illegal acts. Policies: Employers should adopt a written policy encouraging employees to come forward with concerns of any illegal activity and stating that the company won’t tolerate unlawful retaliation. The policy should also set forth a process for employees to report and for the company to timely investigate and address good faith complaints of illegal activity. Addressing Employee Concerns: As noted above, employers should be welcoming of employee concerns about potential illegal activity. An employer that encourages employees to voice concerns, takes concerns seriously, and promptly investigates and addresses those concerns looks less capable of retaliation. Investigations should be conducted promptly and in a neutral, discrete, and non-threatening manner. In addition, employees should be assured that the company won’t retaliate. Employers should keep protected employee complaints and activity as confidential as possible, because individuals who aren’t aware of an individual’s protected activity can’t retaliate. 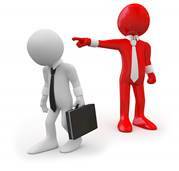 If a complaint involves an employee’s own supervisor, it may be wise to assign the employee to a new supervisor for a period of time to limit the opportunity for retaliation. Alternatively, an employer might establish a checks and balance system that requires all personnel decisions involving the protected employee to be independently reviewed by other managers or Human Resources for some period of time. To minimize the risk of a retaliation claim, employers should take steps to ensure that an employee who has engaged in legally protected activity is treated consistently with similarly situated employees. Failing to ensure consistency increases the risk of an employee feeling singled out in retaliation for protected activity. Training: Employers should train supervisors on how to spot legally protected activity and on their anti-retaliation obligations. In addition, supervisors should be trained on how to respond to employee complaints in a way that reduces retaliation risks. Minimize Bad Timing: Retaliation claims often involve bad timing. The risk of a retaliation claim being made and the risk of a finding of liability are heightened when an adverse employment action follows closely on the heels of protected employment activity. While there may be legitimate, lawful reasons to take the employment action at issue and to proceed despite poor timing issues, it is a good idea to consult with legal counsel on when and how to proceed to minimize legal risks. Performance Issues: Because of the timing issues discussed above, raising performance deficiencies for the first time shortly after an employee has made a protected complaint increases the risk of a retaliation claim. As such, performance deficiencies should be addressed and documented when they first arise. This can help an employer demonstrate, in the face of a retaliation complaint, that performance issues were already being discussed and addressed prior to any protected activity by an employee. Dot Your “I’s” - Cross Your “T’s”: If there are legitimate, non-retaliatory issues to be addressed with an employee protected from retaliation, an employer should dot it’s “i’s” and cross its “t’s” before acting. The employer should be confident it can establish that its action is well-justified, fair, and based on legitimate non-retaliatory reasons. In addition, an employer should consider the timing of its action and consult with legal counsel to minimize legal risks. Monitor: An appropriate person should be assigned to monitor the situation in an effort to prevent retaliation. Employers should also remember that post-employment actions, such as a retaliatory reference letter or refusal to rehire, can give rise to retaliation claims.